Wood planters can help make an outdoor space feel warm, welcoming, and natural while simultaneously making it feel contemporary and clean. 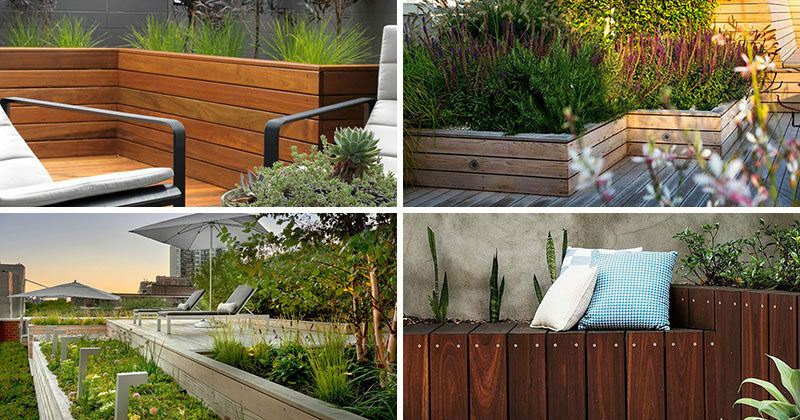 Here are eight examples of wood planters that have been built into the yard or patio design that add texture, depth, and style to each space. 1. 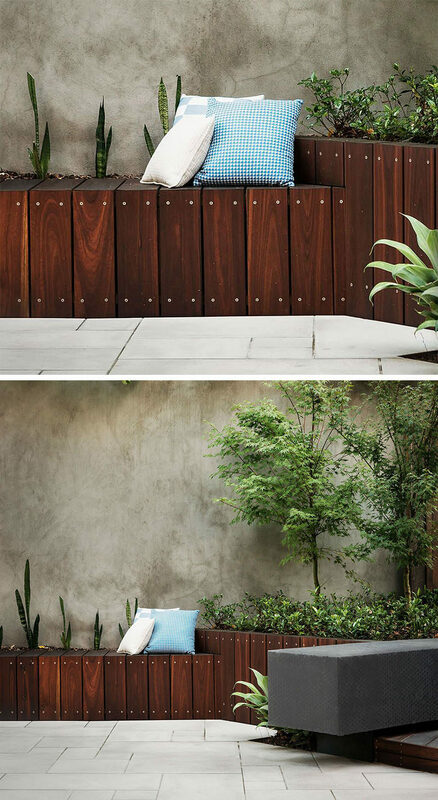 These built-in wood planters match the wood fence surrounding them to make for a cohesive backyard oasis. 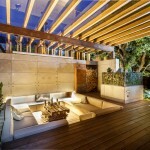 Designed by Growsgreen Landscape Design. 2. Tall built in planters surround this dining area making it feel separate from the rest of the space, creating a more intimate feeling. Designed by Future Green Studio. Photography by K-Taro Hashimura. 3. This wood planter is made from the same wood as the rest of the deck, but the lines run in the opposite direction. 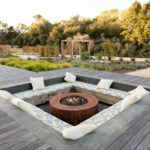 Using the same material makes it feel cohesive, but the lines running in a different direction signals that the planter is distinctly separate from the deck. Designed by Tim Davies Landscaping. Photography by Grab Photography. 4. These large wood planters create a space for greenery, and as the plants grow, will contribute to making the patio more private as well. 5. 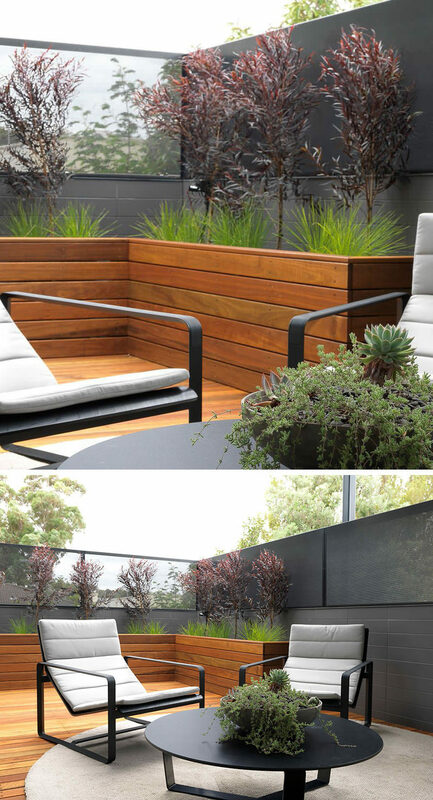 The light wood planter made from the same wood as the rest of the fence adds dimension to this patio. The knotty wood adds to the natural feel going on in the space. Designed by New Eco Landscapes. Photography by Lori Cannava. 6. 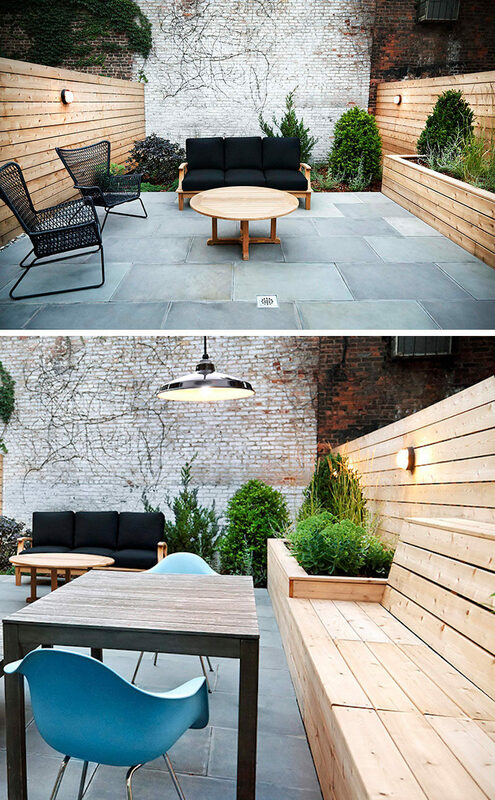 The contrast between the dark wood and the concrete wall add style and functionality to the back yard in the form of seating and planters. 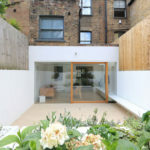 Designed by ddb – Design |Development |Building. 7. 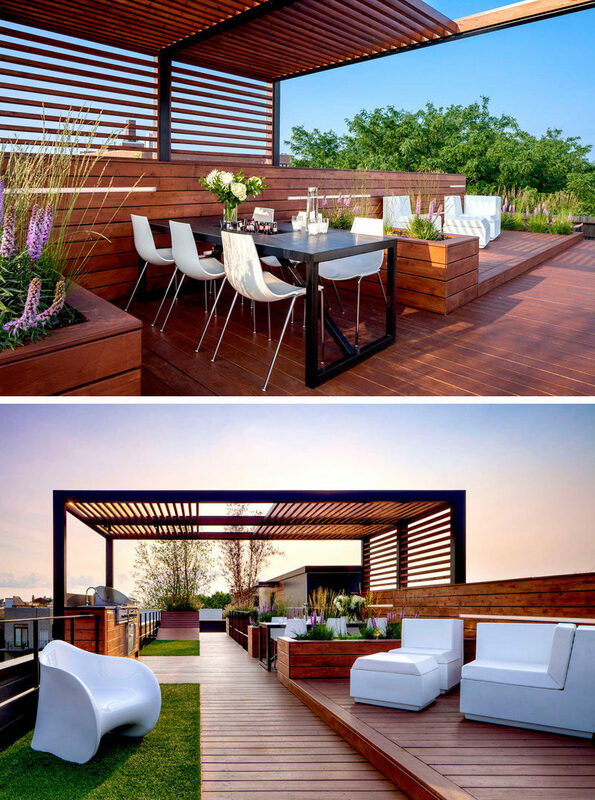 The wooden planters on this rooftop terrace create a cozy atmosphere and liven up the space with color and texture. 8. 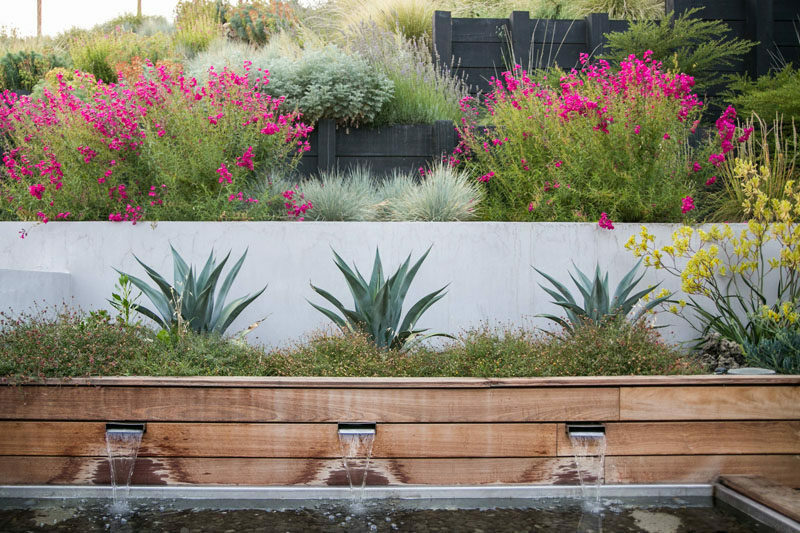 This long wooden built in planter houses plants and contributes to the water feature in the backyard, adding softness and contrast to the the concrete wall behind it. Designed by Envision Landscape Studio. Photography by Joe Dodd. 9. 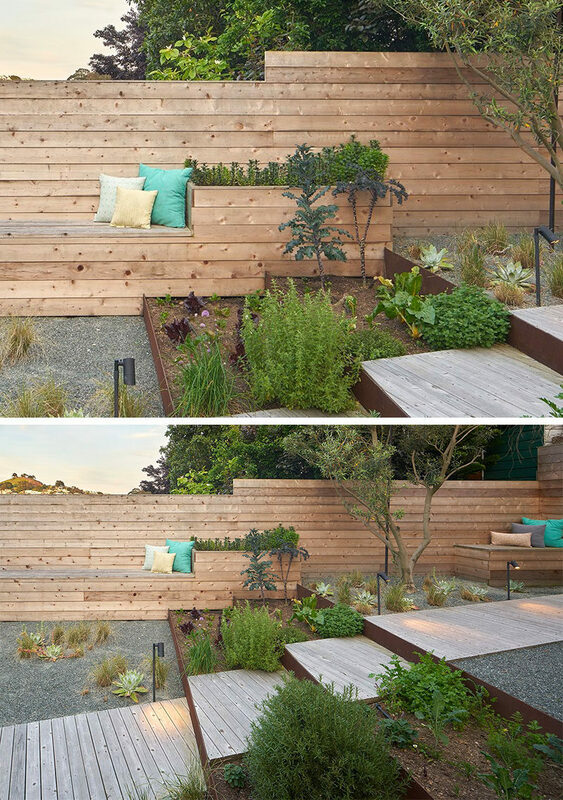 This backyard with a slide, makes use of triangular wooden planters to deal with the slope of the yard. Designed by Eldridge London. Photography by Lyndon Douglas. 10. 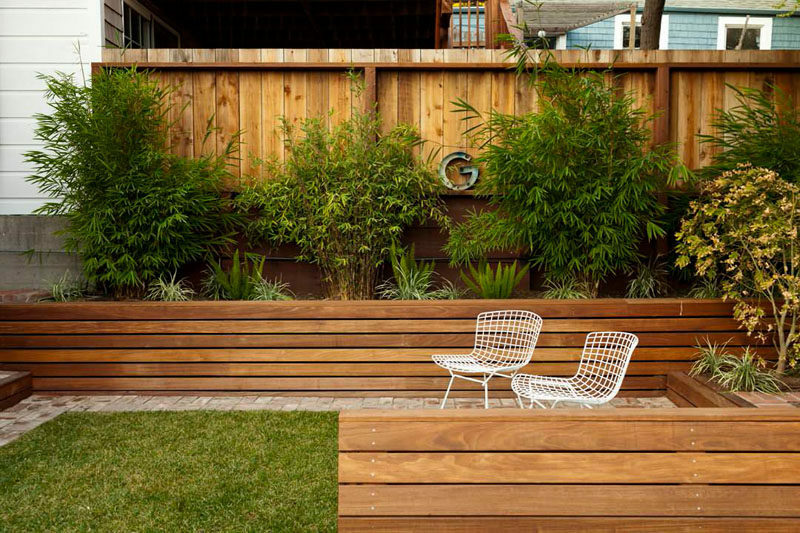 This fully landscaped backyard has wooden planters incorporated into the built-in bench seating. See more photos of the backyard here. Landscaping designed by Terremoto. Photography by Bruce Damonte. 11. 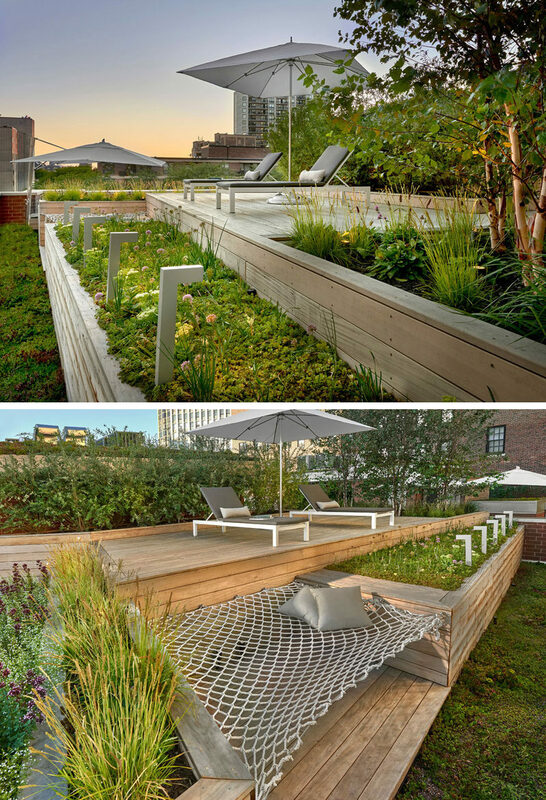 These planters on a Chicago rooftop deck provide plenty of room for greenery and they even include space for a hammock. See the full rooftop design, here. Designed by dSPACE Studio. Photography by Tony Soluri. 12. 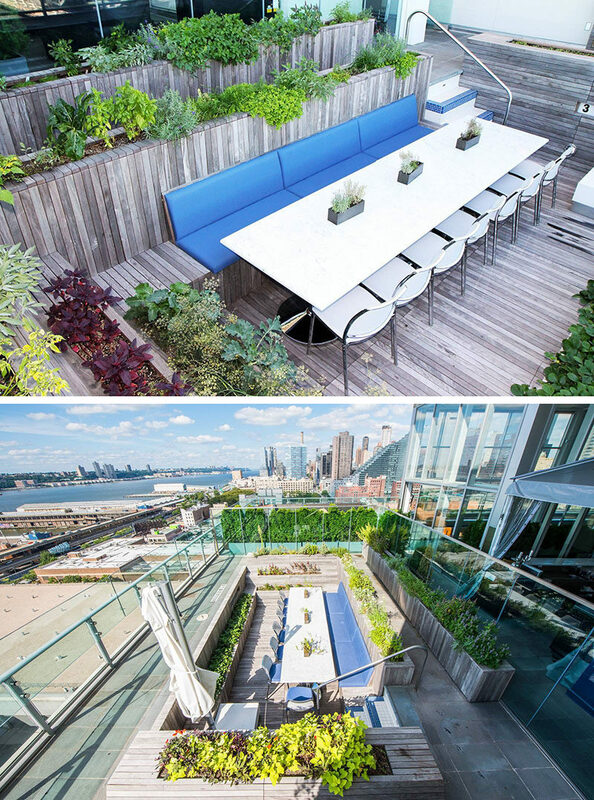 The built-in wood planters on this rooftop space are used to separate the dining area from the lounge area. 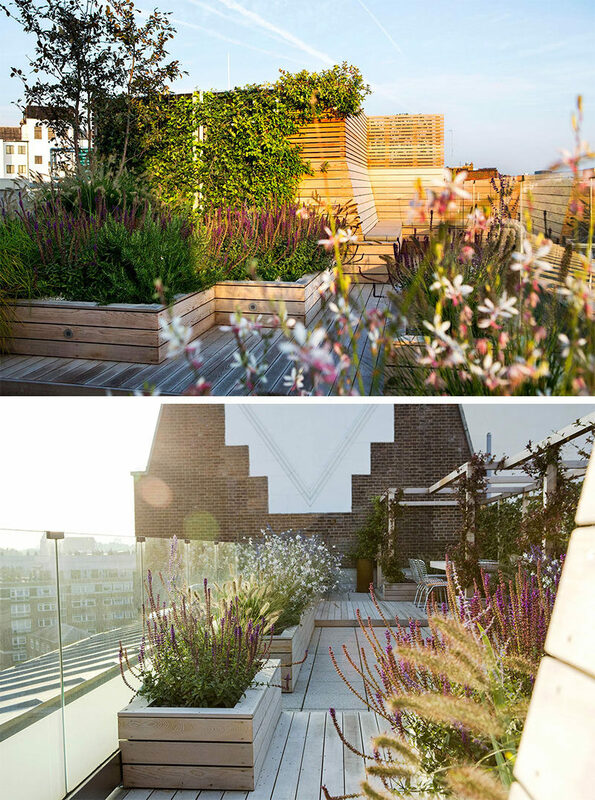 See the full rooftop design, here. Designed by dSPACE Studio. Photography by Evan Thomas.